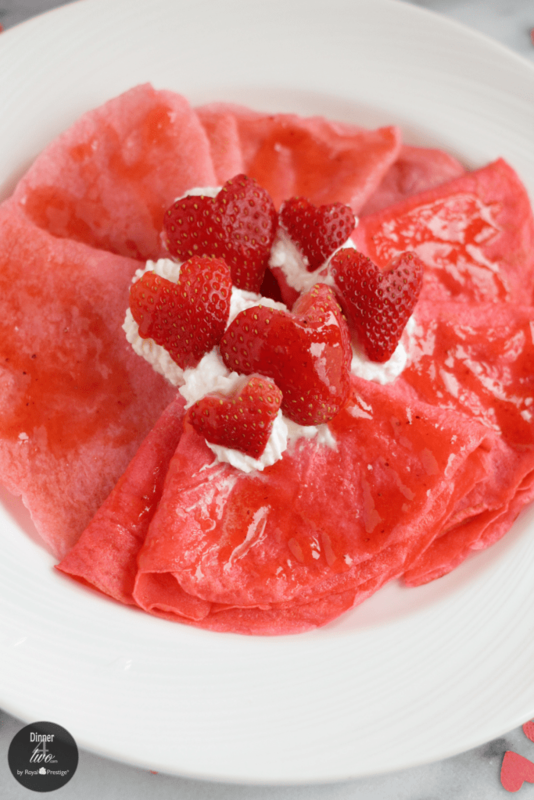 The air is full of love and so are our delicious Valentine crepes with strawberry hearts and whipped cream. 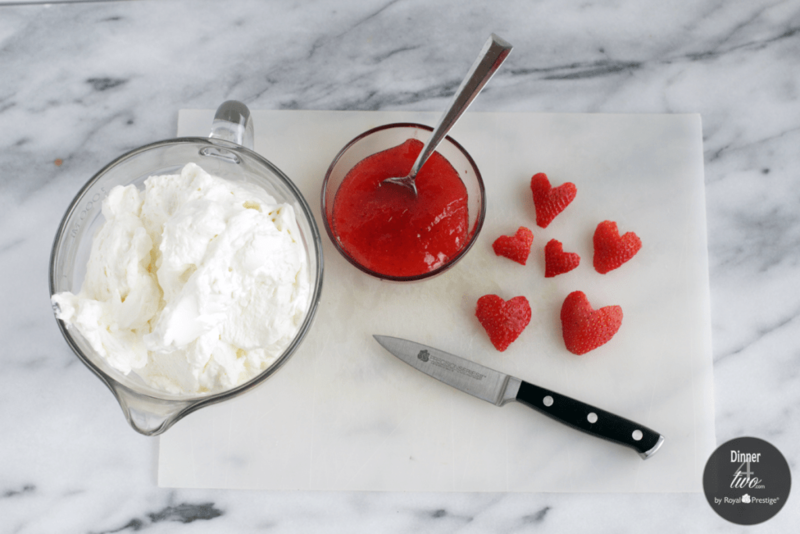 Why not start the day out with a love fest at breakfast…we thought it would be a great idea and created this easy and delicious pinky, red crepes topped with homemade strawberry jam, fresh strawberries cut like hearts and whipped cream. Is your mouth watering…ours is! We love crepes because they’re lighter than pancakes and yet somehow how they still deliver beautiful flavor without being heavy and cakey. You get to be the cook and an artist when it comes to deciding what color your crepes are going to be. 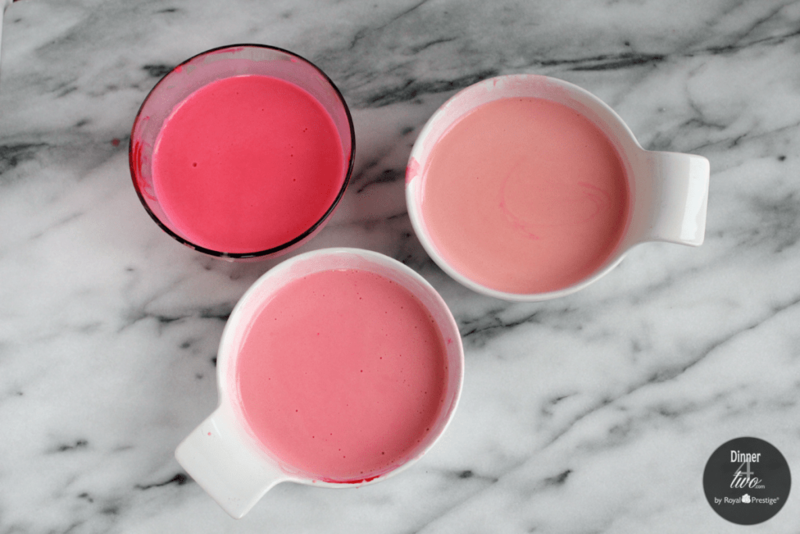 Start out slow when it comes to adding the red food coloring. If you like a shy sweet blush pink then start slow and add as you go. If you’re love is bold and wild then go for a deep red. 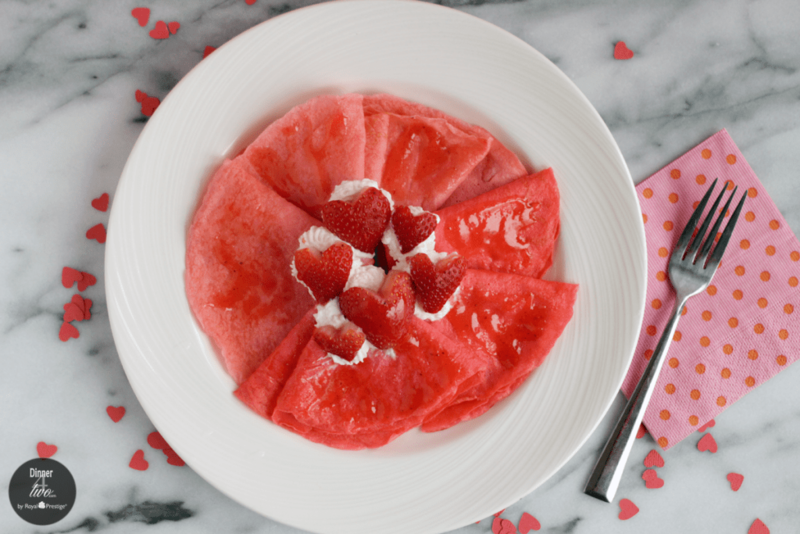 Whatever you decide you can be sure your sweetheart is going to love these Valentine crepes with strawberry hearts and whipped cream. Wash and set strawberries aside to dry. 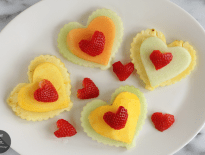 Pull the green stems off the strawberries and cut them in half. 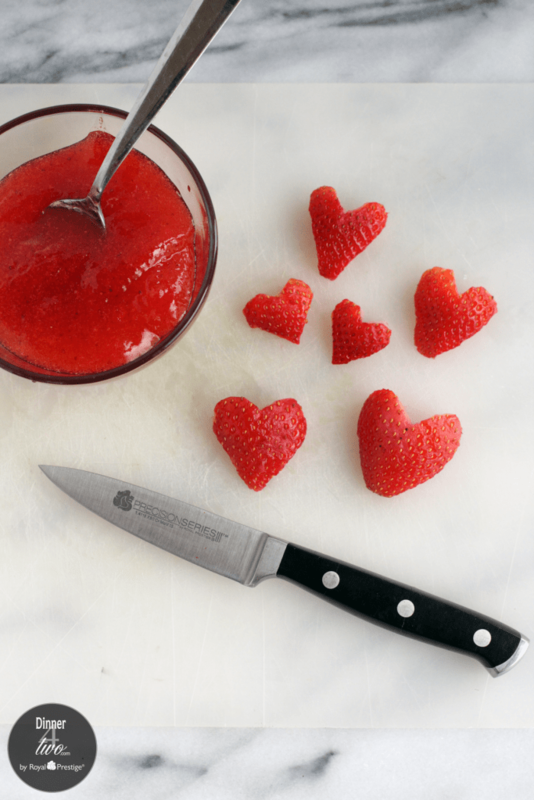 Using the Kitchen Charm paring knife cut a small V in the top middle of the strawberry to create the top of the heart. Most of the strawberries will have a pointed tip. If it isn’t to your liking just give the tip a trim for a more pointed tip. 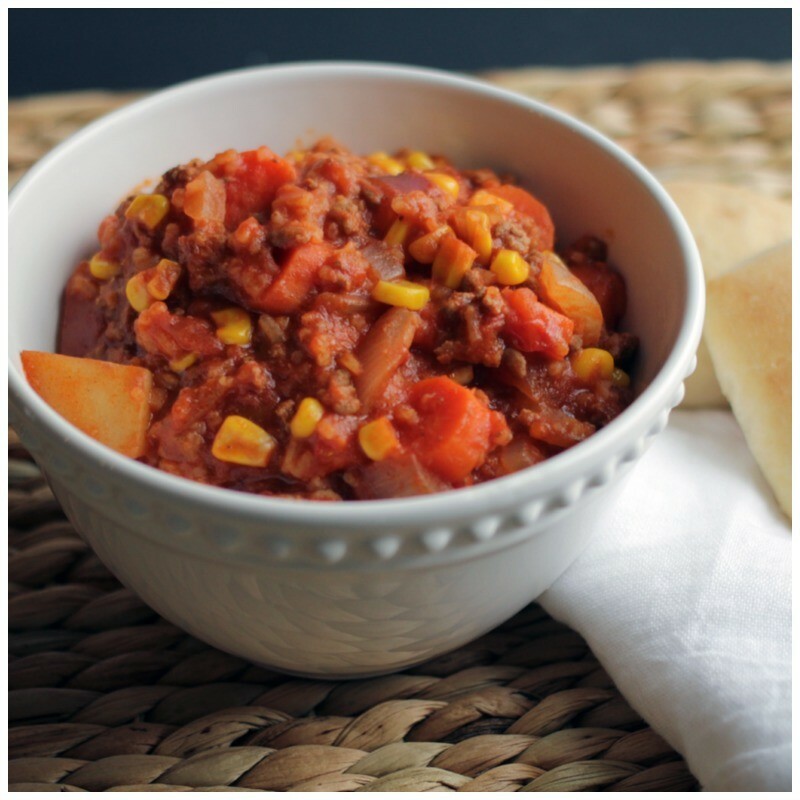 Combine all of the ingredients in a bowl and whisk together until well blended. In the Kitchen Charm 8” gourmet saute pan; pre-heat on medium high heat for two minutes. Generously coat the skillet with non stick cooking spray. Add ¼ cup of batter in the middle of the pan and swirl the pan until the batter is spread evenly throughout the sauté pan. Cook for about 2 minutes. 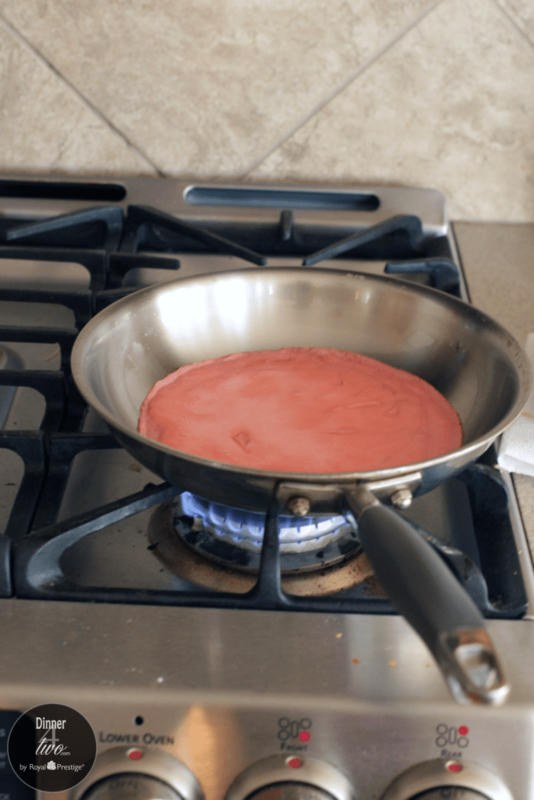 Flip the crepe and cook on the other side for about 1 minute.